Macedonia is on the right path and has marked positive developments, Johannes Hahn, Commissioner for European neighborhood policy and enlargement negotiations said here Monday at a joint press conference with Prime Minister Zoran Zaev. In a statement, Hahn noted that the European Union (EU) was expecting concrete results in Macedonia's justice system and public administration. "Things are moving in the right direction but the country should keep working on crucial reforms in the spheres of security services, judiciary, public administration," Hahn said. On the other hand, he said he wanted the European Commission to recommend a launch of the EU accession talks at the onset of 2018. 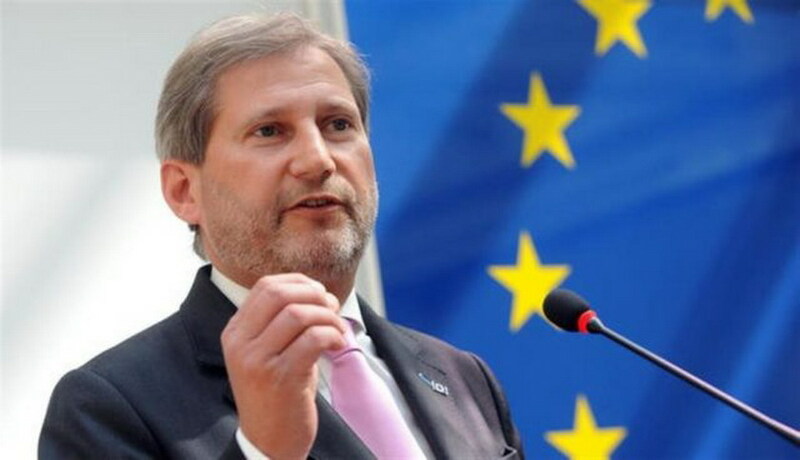 "Macedonia should run out the last kilometer of the marathon," Hahn noted, saying that considering the progress made in the country, the EU was surer than in the past that EU member states would give their consent to such recommendation. However, Hahn also stressed that more work should be done and called on the opposition to be constructive and address issues which relate to national interests. Meanwhile, Zaev briefed Hahn on what had been done to implement the urgent reforms in the judiciary, intelligence services, and the full de-politicization and professionalization of the public administration. "We are entitled to expect Macedonia to become part of the EU enlargement strategy, which is to be published in February 2018. We expect to obtain a clear recommendation for EU membership and a date for launching the accession talks," Zaev said at the press conference. "We will yield results and we expect European institutions to see our progress," Zaev said.